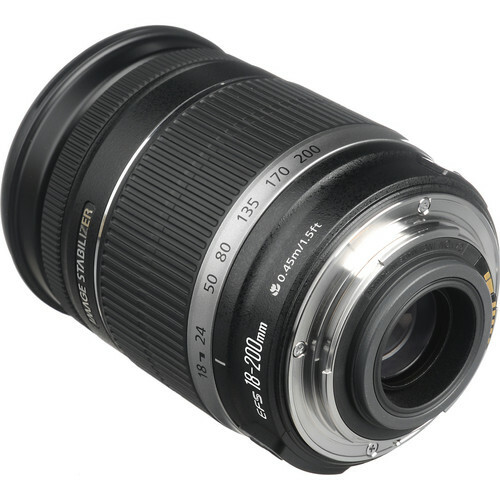 The EF-S 18-200mm f/3.5-5.6 IS is a EF-S lens meaning it is designed for the smaller cropped sensor Canon line-up of DSLRs like EOS 650D or Rebel T4i or Kiss X6i. Apart from these 1.6x crop sensors the lens is not compatible with any of the other 35mm and APS-H sensor DSLRs from Canon. 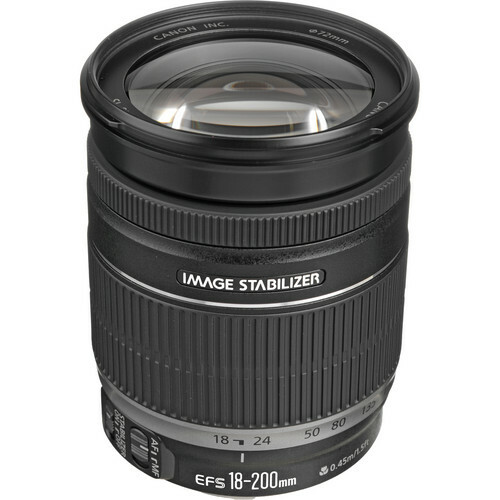 The EF-S 18-200mm f/3.5-5.6 IS has a very close minimum focusing distance of 1.48’ (0.45 meters) for a tele lens of this range offering a maximum reproduction ratio of 1:4.2. 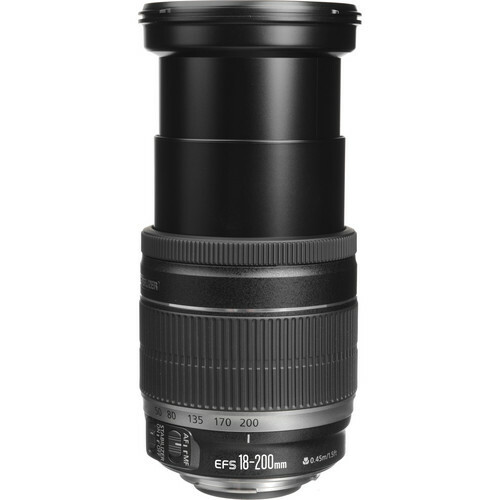 This lens has the focal length equivalent of a 29-320mm lens mounted on a full frame DSLR. There are a total of 16 lens elements, including 2 UD (ultra-low dispersion glass or Canon’s equivalent of what Nikon says as extra-low dispersion glass) glass elements and 2 aspherical elements, arranged in 12 groups. The diagonal angle of view of the lens is 74° 20′ – 7° 50′. Auto-focusing performance of the lens is very good and standard at par with the rest of the Canon lenses. There is however no manual focusing override options (no full-time annual focusing). You will need to flick the AF/MF switch in order to focus perfectly. A problem with this lens, just in case you’re into precise annual focusing, is that it turns only 1/8 of the barrel diameter and re-adjusts from infinity to 1.5’. So you will have t very precise when manually focusing. It is best to keep it on auto-focusing for most of the times. The lens has the external dimensions of 3.1” x 6.40” weighing 595 grams. The filter size specification of the lens is 595 grams. 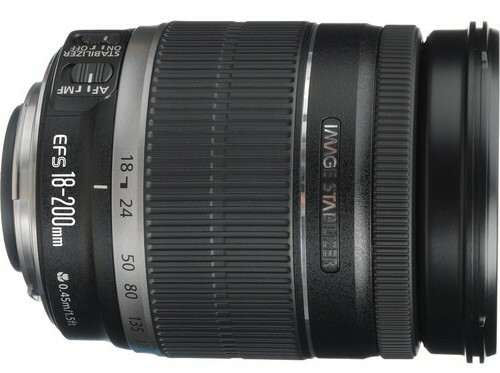 Available at Amazon | Adorama | B&H.